Image credit: AFF Suzuki Cup Official Site. Whether you are a football aficionado or not, it may be well worth your while to make the trip to the Philippine Sports Stadium in Bulacan to watch Group A matches of the 2016 AFF Suzuki Cup. 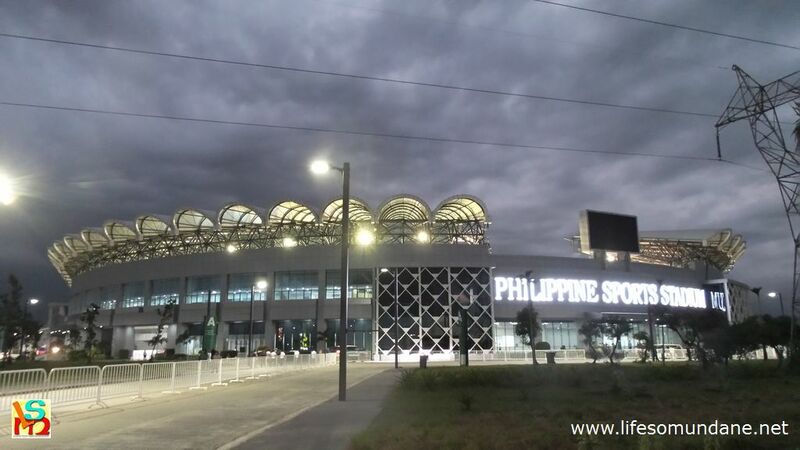 First of all, a visit to the ultra-modern Philippine Sports Stadium is an experience in itself. Second, it has been a while since the Philippines hosted an international football tournament of this caliber. Finally, the Philippine national team, a.k.a. the Azkals, is a contender and can naturally benefit from the support of a large and noisy home crowd. The AFF Suzuki Cup or the AFF Championship is a tournament organized biennially by the ASEAN Football Federation. The tournament was first staged in 1996 as the Tiger Cup. Singapore and Thailand have dominated the tournament, having won it four times each. Vietnam and Malaysia each has one championship. Meanwhile, the Philippine Azkals have yet to make it to the final of the tournament but have been to the semi-finals in the last three editions in 2010, 2012 and 2014. The 2016 edition of the AFF Championship will be the eleventh since the tournament first began, and will be played from 19 November to 17 December. A four-nation qualifying round was hosted by Cambodia from 15-21 October 2016 to determine the eighth and final country to participate in the final round of the AFF Championship to be jointly hosted by the Philippines and Myanmar. The host country defeated Laos, Brunei and Timor Leste to earn that final slot. As predetermined by the AFF Championship draw held in August this year, Cambodia goes straight into Group B of the tournament proper. Image credit: Ticket World Ph. Click to enlarge. The Philippine Sports Stadium, otherwise known as the New Era University Stadium, is a 25,000-capacity modern stadium located at the Ciudad de Victoria enterprise zone in Bulacan. It was officially opened on 14 July 2014. The stadium has a natural grass playing surface. The Philippine Sports Stadium in Bulacan. The Rizal Memorial Stadium is the main stadium of the Rizal Memorial Sports Complex. It was first opened for use in 1934 and has hosted events of the 1954 Asian Games as well as various editions of the Southeast Asian Games. The stadium’s seating capacity is pegged at 12,000 and the playing surface is artificial grass. Image credit: By Ramon FVelasquez - Own work, CC BY-SA 3.0, https://commons.wikimedia.org/w/index.php?curid=27399142. The top two teams from Groups A and B qualify for the home and away crossover semi-finals which are to be played on 3-4 December (first leg) and 7-8 December (second leg). The winners of both semi-final ties meet for the championship also on a home-and-away basis with the first and second legs to be played on 14 and 17 December, respectively.